Netflix is adding new shows all of the time making it easy for us to watch on our Fire TV. 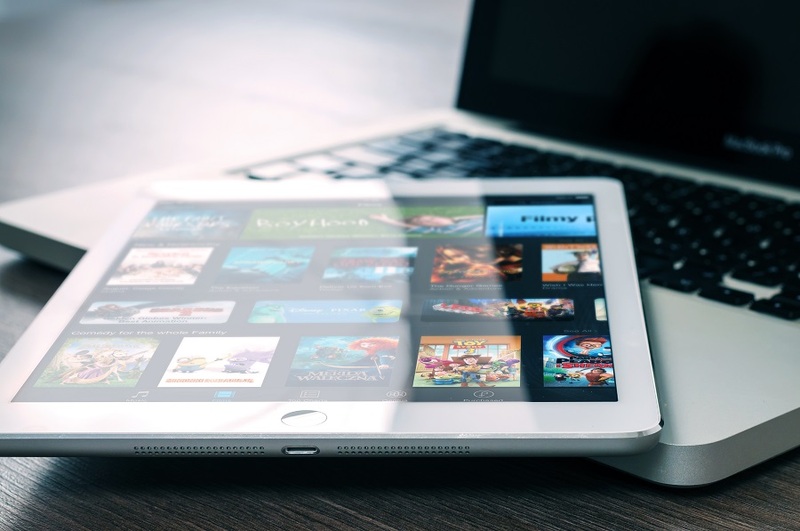 Combine that with the shows that Netflix makes on their own, and you’ve got a weekend filled with just searching for something to watch on that big screen TV. 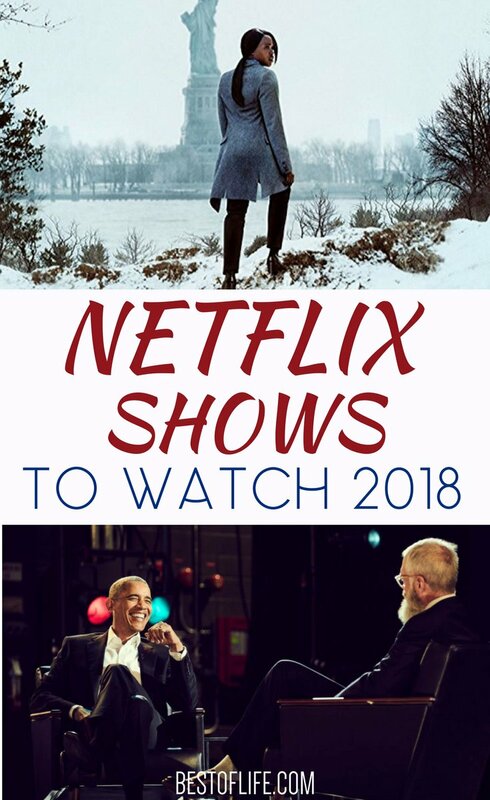 While you could fill your time with just Netflix shows 2018, no one has time for that. The best Netflix shows 2018 will take you to other worlds, times both future and past, and most importantly, will give you something to talk about with friends and family. Netflix has stuff for everyone, there is no lack of family-friendly programming. But after watching Power Rangers Ninja Steel on repeat for the kids, I need something more sophisticated. Netflix rarely lets me down with programming; we won’t mention the Super Bowl-gate 2018. Instead, we’ll pick the best programming, the best Netflix shows 2018. I never shy away from a good documentary series. If you haven’t watched Making a Murderer yet, you’re not Netflixing right. There have been many documentary series added to Netflix but one of the best is Ugly Delicious. This documentary takes popular dishes and shows us how different cultures put their own spin on them. The question is, does sushi pizza really improve it or should we stick with the classics? Taking a step away from documentaries and into the future, Altered Carbon is Netflix’s version of Fifth Element or Blade Runner. This is a beautifully developed show that has a lot of underlying lore and adventure. Pro tip, pay close attention in the first few episodes to understand what they’re talking about. The front door is always open in this family-friendly series on Netflix. Fuller House returns with yet another season and it is something we all need in our lives. This series follows the Fuller family and their friends as they navigate their way through family life in San Francisco, California. There is plenty we can learn from the Fuller family and friends and like any family, there is plenty they will learn along the way. Without giving too much away, Seven Seconds is about a police cover-up and a city that is fighting racial divides. While we have seen this before, we haven’t seen it quite like this. There are a lot of unexpected places Seven Seconds go and you may not want to be there. David Letterman is a major player in the talk show business. While he may not have a nightly show anymore, he does have My Next Guest Needs No Introduction. Each episode has one guest to fill the hour and the show doesn’t stay in a studio. Instead, David explores his guest’s life in the real world, in the territory. If you aren’t drawn in already, his first guest was Barack Obama. It’s not every day I would recommend watching a movie that involves subtitles, let alone advising you to turn of the English dubbing and read it. However, Dark seems to require it and in the end, you’ll thank me. Dark is a time travel series that seems to combine so many different things into one that it’s worth watching multiple times. Maybe the first time, watch it with subtitles and then the second with English dubbing. Niel Patrick Harris is only part of the amazing series by Netflix that is the most recent adaptation of the popular Lemony Snicket novel series. The breakout star is surely the young actress who plays Sunny Baudelaire. While the theme song and some of the narration will tell you to “look away” and to stop watching this show, it will be hard to stop as it is fantastic for the whole family. Not to mention, brilliantly written, funny, sad, filled with joy and unfortunate events that lead up to an ending you won’t want to see. Maniac is promising to be a must-watch show from Netflix in 2018. The series is a dark comedy series that is based on the Norwegian dark comedy of the same name. Emma Stone and Jonah Hill will be starring in the show and it’s director, Cary Fukunaga, also directed Beasts of No Nation and True Detective Season 1. If you haven’t watched Sense8 yet on Netflix, again, you’re not Netflixing right. In fact, the show was canceled by Netflix and it may be your fault. However, the fans of the show fought so hard that Netflix renewed it for a series finale season. That last and final season comes out in 2018. There are many more shows to keep an eye out for in 2018 like Making a Murder Season 2, House of Cards Season 6, and Lost in Space. But you have enough here to hold you over until those come out. Horror is redefined when it is turned into what will end up being a 10-hour movie because you will not want to stop watching. Another brilliant novel turned into a television series has been well-adapted by Mike Flanagan who is known for other Netflix favorites like Gerald’s Game and Hush. This series follows a family as they attempt to flip a house but as it turns out, the house is flipping them. The scares are smart, the secrets run deep, and you will want to watch it multiple times to try and uncover everything. Sabrina the Teenage Witch has gone through a young adult transformation that is welcomed by everyone. While this version of Sabrina may not be suitable for all ages, young teens and adults will love the new adventures Sabrina goes through as she struggles with the things her family wants for her and the things she wants for herself. We don’t want to waste our time with a show that isn’t that great. Luckily, there are ways to find the best shows on Netflix without putting in much work at all so we can remain in our relaxing position on the couch.